The sōgō shōsha's involvement ranges from just the importation of foodstuffs and energy resources all the way to supermarkets, service stations and stages in-between. | MARUBENI CORP. Given Japan’s low food self-sufficiency ratio and dearth of energy resources, the sōgō shōsha have acted as a lifeline to Japan’s economy through the import of foodstuffs and energy resources. However, the sōgō shōsha’s involvement goes far beyond just importation. Here, I would like to look at the sōgō shōsha’s business model using food and energy value chains. The first case is that of a grain, animal feed and processed chicken food value chain and involves Marubeni Corp.’s Grain and Food Product divisions. Marubeni is one of the largest grain traders in the world handling about 70 million tons annually which it markets worldwide mainly from bases in North and South America. Traditionally, Marubeni bought grain from grain trading companies, imported it to Japan and sold it to animal feed (soybeans/corn) and flour (wheat) processors, beer producers, and so on. They also handled distribution (logistics), in this instance, of the feed to chicken farms and processors, and then the final chicken product to the food retailer as a middleman and distributor. Again, as just an intermediary the profit margins are small with earnings coming from the difference between the buying and selling prices and/or commissions and fees from handling the transactions and distribution. However, while Marubeni still buys some volume of grain from other grain traders, they have increasingly integrated this supply chain and raised their value-added potential by investing in various stages of the value chain upstream and downstream. In this value chain, Marubeni’s 100 percent-owned subsidiary Columbia Grain International, with operations in the U.S. Northwest and upper Midwest, buys grain directly from farmers in the region, moves it to their own storage facilities (country elevators) and then to their own port facilities on the West Coast. Marubeni also recently acquired one of the largest grain traders in the U.S., Gavilon, located in the Midwest U.S. as well. The grain is shipped by bulk carrier to Japan to Marubeni’s own grain terminals (import, storage, unloading, transport). It is next sold to animal feed processors, one being their own majority-owned joint-venture company, Marubeni Nisshin Feed, with more than a 10 percent share of the livestock feed market in Japan. The feed is then distributed, in this case, to chicken breeders and processors, and then wholesaled to food retailers. Marubeni also has wholly owned companies handling the breeding, processing and wholesaling of chicken, Wellfam Foods and Marubeni Chunky, as a well as ownership interests in such supermarket chains at the retail end as Maruetsu, MaxValu, Kasumi, and Sotetsu Rosen. Thus, Marubeni has integrated this supply chain from the purchase of a raw commodity, grain, to feed processing and chicken production, to the sale of chicken as a retail food product by investing in, handling the logistics and managing the process at each stage of the grain-feed-processed chicken value chain. Other sōgō shōsha also have integrated grain-feed-processed chicken supply chains. For example, Mitsubishi Corp. supplies KFC Japan, in which it is by far the largest shareholder, with about 50 percent of all their chicken. In this example, Marubeni maximizes their profit potential by securing grain at near cost, adding value at the feed and chicken processing stages of the supply chain, and gaining full profit at the retail end. This increases the potential earnings of the companies they have invested in and thus the return they receive from them. In addition, by having ownership at the retail end the sōgō shōsha can rationalize the food distribution process making it more efficient, i.e. higher retail earnings, while protecting its position as a distributor in the process. Furthermore, by dealing in such large volumes, especially in grain, Marubeni can lease entire vessels, lowering their transport costs in the process and making them even more competitive in this supply chain. This integrated grain-feed-processed chicken value chain is not only seen in Japan but is also being replicated by Marubeni overseas. Again, Marubeni’s participation in this food chain doesn’t end here. Upstream, Marubeni also distributes agricultural machinery (Construction & Industrial Machinery Division) in a number of regions worldwide and sells agro-chemicals, fertilizers and seeds directly to farmers, through such wholly owned distributors as Helena Agri-Enterprises in the U.S. and Agrovista U.K. and Mertens in Europe (Agri-Input Division). A similar integrated upstream-downstream model can be found in the beef, pork and seafood value chains as well as in an array of other raw food ingredient and food product or beverage ingredient and beverage product supply chains: think raw sugar to confectioneries or coffee beans to coffee beverages and products (Marubeni handles about 30 percent of all the coffee beans consumed in Japan) to name a few. Given that Japan has only 40 percent food security, you can see the essential role the sōgō shōsha play in feeding the country. In fact, the sōgō shōsha’s imprint can be found, in one way or another, on much of Japan’s food. That is food for thought the next time you ask someone to pass the salt and pepper, as yes, the sōgō shōsha handle salt and pepper, too. The next two examples are from the energy supply chain. One entails natural gas, liquefied natural gas (LNG) and electric power and although mainly the domain of the Energy Division it also might include the Steel Products and Plant divisions. As background, Japan is the world’s largest importer of LNG. In this example, Marubeni took an equity stake in an offshore gas field development in Qatar, as well as investing in a downstream liquefied natural gas company in a consortium that also included another sōgō shōsha (although competitors, the sōgō shōsha will sometimes team up in large-scale projects due to the sheer size and risks involved). The natural gas is transported from the gas field by pipeline to a liquefaction plant located at a port. Although they did not do it in this particular case, Marubeni could participate in the gas field development in various ways, including the supply of equipment, and Marubeni’s subsidiary Marubeni-Itochu Steel could supply the gas pipeline (which they have in other LNG projects) needed to transport the gas to the plant where the gas is liquefied. As a large-scale project organizer Marubeni also assisted in arranging the financing and selecting and working with the primary contractor for construction of and sourcing of equipment for the liquefaction plant (including storage tanks). Marubeni can also arrange the construction of LNG terminals (regasification) in the importing countries. Moreover, Marubeni has major ownership interests in LNG vessels and arranges for the shipping of LNG from various overseas locations. In this example, they transport the LNG from Qatar to the buyers, which are Japanese electric power utilities, on a long-term contract basis. In addition, Marubeni is involved in LNG projects in Peru, Papua New Guinea and Equatorial Guinea. Marubeni, as you will see later, own (or partly own) and operate electric power plants worldwide. In Japan, they also participate in retail electricity through their renewable energy power plants and other sources (Power Business Division). Again, Marubeni has invested in each stage of the LNG supply chain upstream from resource development and liquefaction to transport and delivery to the user. A similar upstream-downstream energy value chain can be found in crude oil, fuel wholesaling and service stations. Marubeni might take either a major or minor stake in overseas oil field development projects and could assist or lead the joint venture in arranging financing and coordination of the development of the oil field. They could also just make an equity investment in existing oil production to gain ownership rights to the oil. Marubeni is currently involved in oil development projects in the U.S., UK, Russia, India and Papua New Guinea. Marubeni has also invested in an oil refinery in Qatar from which they can import various refined fuels into Japan. Marubeni will arrange for the crude oil, which would be refined in Japan, or already-refined fuels to be shipped to Japan to terminals from where the fuels will then be distributed and sold to various end users and retail outlets throughout Japan through Marubeni’s own fuel wholesaling subsidiaries Marubeni Ennex and Marubeni Energy, which have their own storage and distribution networks (Marubeni and the other sōgō shōsha also handle petrochemical products). 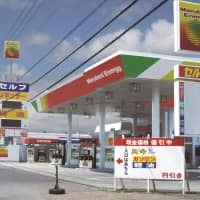 Furthermore, Marubeni, through Marubeni Energy, also owns a country-wide network of motor vehicle service stations under different brand names at the retail end in Japan. 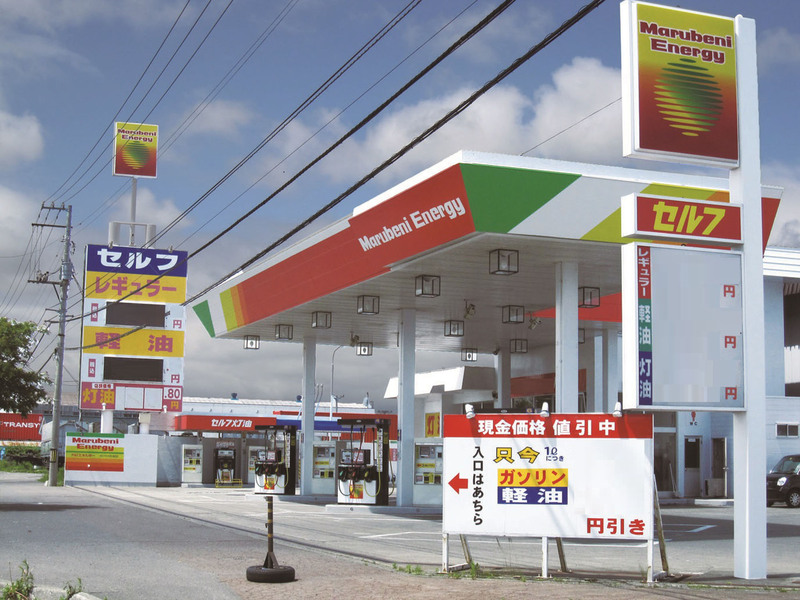 Through Marubeni’s global information and business network, logistics, project finance, investment and project organizing, you can see how they, as well as the other sōgō shōsha, can integrate the energy supply chain upstream from energy resource development all the way to the end-user downstream. In this way, the sōgō shōsha act as a vital pipeline literally fueling (pun intended) an energy-starved Japanese economy. This is the seventh part of a new series of reports written by industry specialists. The first 12 articles are about Japanese general trading companies, or sōgō shōsha.